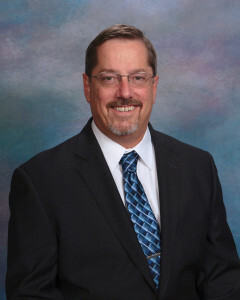 About Paul Epperson & Construction and Schedule Management Services. I have extensive experience as a construction manager, (CM). Over time, I became convinced that there is a critical shortage of skilled planning and scheduling professionals in our industry. I backed away from full CM work in 2009 and began really focusing on planning and scheduling. I believe I can best serve our industry as a subject matter expert in this area. My scheduling expertise and extensive experience as a CM helps me better serve the project teams I work with. Owner’s Schedule Oversight and Management to Stantec for the PGDPW&T Swann Road Project, $3m. Owner’s Schedule Oversight and Management to NW Natural for the North Mist Expansion, EPC Natural Gas Piping and Pump Station Project, $75,8m. Schedule Development and Management to SRC, Inc. for VCU Sanger Hall Renovation Phase II, $5m. Owner’s Schedule Oversight and Management for Chubb Consulting Group Group / Forella Group, LLC for Montgomery County Maryland – Department of General Services Wheaton Library and Community Center, $76.2m. Owner’s Schedule Oversight and Management to Construction Support Solutions, Ltd. for various projects under a USACE MATOC, $50m. Schedule Development and Management to Howard Brothers Construction, Inc. for Various Intersection Improvement Projects, $2.4m. Owner’s Schedule Oversight and Management for Chubb Consulting Group Group / Forella Group, LLC for Maryland Capital Park and Planning Southern Area Aquatics & Recreation Center project (SAARC), $36.7m. Engineering Schedule Update and Management to YAD Consulting / O’Brien & Gere Engineering for TVA Normandy Dam Stress Stability Assessment Engineering Project, $730,000. Owner’s Schedule Review and Assistance to contractors for VCUHS, Richmond, VA. Schedule Assistance and Instruction for Project Managers. SRC, Inc. Richmond, VA.
ODU Sports Complex Addition project for RRMM Design Build. Norfolk, VA. Bid/Build, $3m. Large Medical Facility Flooring Replacement project for Cinnovas Development Group. Fairfield, PA. Design Build, $460k. Critical Data Renovation project for Cinnovas Development Group. Blue Ridge Summit, PA. Design Bid Build, $440k. A Very Large, Correctional Facility Roof Repair/Replacement Project for Schedule Associates International. Huntsville, TX. Renovation. $1.7m. Development of a Complex Plant Renovation project schedule for Farley Building Solutions. Stony Creek, VA. Integrated schedule – EPC. $700k. Several EPC Concentrator Facility Development projects for Iluka Resources. Stony Creek, VA. Integrated schedule – EPC. $230m. Assisted with a Construction Delay Claim for Contract Solutions Contract Solutions. USACE Mackall UAV Complex – TEMF for Sauer Incorporated. Fort Bragg, NC. Design Bid Build. $11m. USACE MATOC for DLA DSCR Energy Upgrades, Renovations & Demolition. Richmond, VA. Design Build. $$36m. USACE Design Build Wounded Warriors Barracks for Sundt Construction. Fort Hood, TX. Design Build. $42m. USACE Chemical Demilitarization Projects at Pueblo, CO and Bluegrass, Design Build Operate. $2.7b. USACE Huntsville Center, Chemical Demilitarization Directorate, Various small Renovation Projects – Nationwide, CONUS. USDOJ-FBOP Federal Correctional Institution McDowell Welch, WV. Design Build. $220m. USDOJ United States Penitentiary Tucson, AZ. Design Build. $210m. USDOJ United States Penitentiary McCreary in Pine Knot, KY. Design Build. 220m. Project Management Institute ((PMI) – Project Management Professional (PMP). Construction Management Association of America (CMAA) – Certified Construction Manager (CCM). Project Management Institute (PMI) – Schedule Professional (PMI-SP). 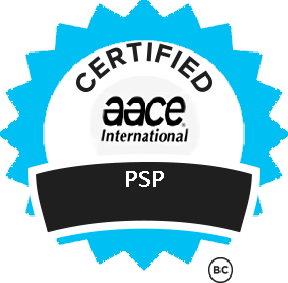 Association for the Advancement of Cost Engineers (AACEi) – Planning and Schedule Professional (AACEi-PSP). Construction Management Association of America (CMAA). Association for the Advancement of Cost Engineers (AACEi).